Can CBD Help With Hair Loss? Medicinal uses of cannabis date back thousands of years, but scientists have thus far done relatively minimal research on the plant’s effect on health. It’s no surprise; once the technology and protocols caught up with scientific research, the cannabis plant garnered an unfairly negative reputation for its psychoactive effects and its health benefits went largely ignored by the medical community. Keith R. Durante, MD, FACS, and hair restoration specialist at the Ash Center, acknowledges that his experience with the efficacy of CBD for medicinal purposes, specifically in quelling hair loss, is purely anecdotal. “I can’t say it’s documented in a double-blind study, or anywhere that I would analyze critically and say the statistics have merit,” Durante explains, but based on his experiential knowledge, he confirmed widely held beliefs that CBD oil is going to be highly sought after for hair loss, based on its efficacy in other medical modalities. Even without peer-reviewed articles, Durante does not see a downside to using it in pursuit of thicker, stronger tresses. In explaining the why and how of hair loss, he made his case for the topical use of CBD oil, which he highly recommends making part of a daily routine. Each strand of hair is made up of a shaft, root, and bulb; the shaft is what we see easily, the root is partially concealed, and the bulb is buried deep below the root, but each of these components is about 90 percent keratin. To keep hair strong, keratin relies on a healthy dose of vitamins, mostly three essential fatty acids: Omega-3, -6, and -9 and fortunately, cannabis-derived CBD oils are high in each, as well as vitamin-E.
Once Durante read evidence that massages using CBD oil for patients with psoriasis and eczema lead to improved outcomes by reducing inflammation on the skin and providing these regenerative nutrients, he knew the technique could work for patients suffering from hair loss. Durante finds that the average woman spends 40 minutes on her hair every morning, so adding in a moisturizing, exfoliating, and anti-inflammatory scalp massage is not a tough sell. “The scalp is filled with toxins and inflamed cells that inhibit proper, healthy hair growth. [With a massage] you’ll increase blood supply to your scalp and the water and moisture content of your hair.” At the very least, CBD oil is an excellent moisturizing hair mask to massage in during cold and dry months, but based on how it affects cell-regeneration in skin disorders, Durante sees no reason why it won’t do the same for hair. 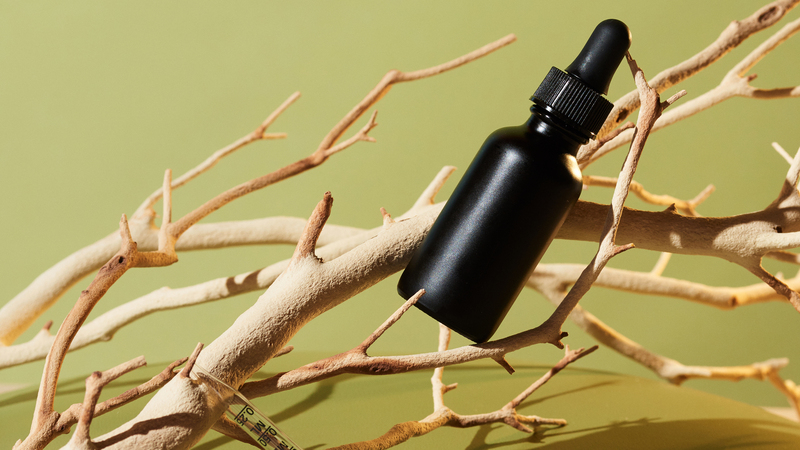 Being that consumers are extra conscious of the ingredients in their beauty products, shunning sulphates, parabens, and other additives, he considers CBD oil a safe and holistic option—even for those with colored or treated hair. There are numerous topical products one can add to their routine in addition to “taking proper nutriceuticals” that promote hair growth, per Durante. Kevin Wachs, founder of Earthly Body, which produces the EMERA CBD haircare line, echoed Durante’s sentiments: “the full benefits of what CBD can accomplish for hair thinning and loss are still being studied; however, its multiple properties make it a natural addition to the routine of anyone experiencing changes to their hairline.” The EMERA line includes everything you need for proper hair care, but based on Durante’s suggestions, try starting out with the brand’s serum and scalp therapy treatments. Goddessy also makes a CBD hair oil that can be used as a mask or for styling, while Eco Natural sells a natural Cannabis Sativa Oil leave-in conditioner. Each of these products touts hair-saving benefits, as do other cannabis-infused hair products, but Durante does stress that using a cannabis-derived CBD oil, rather than hemp seed oil, should produce the best results. “The better quality the product, the better the results are going to be.” So, check the labels closely before you start a regimen of CBD-addled scalp massages!